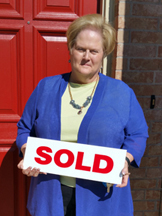 Donna Montez helped me with the purchase of my new home. Donna was very good at arranging for me to see different houses and I would highly recommend her to anyone looking for a new home. Donna even arranged for my out of town relatives to come for a second viewing when they came in town unexpected! Great service, thank you Donna!